As you may already know, Inspherio was created by Span Enterprises: a software company based in Rock Hill, SC. Inspherio is just one of their business management products. Other web-based business management products offered by Span are UnitWise & UnitHub. While these products have some similarities, they are meant for different audiences. UnitWise is for Mary Kay* Consultants, Directors, and NSD's to Manage Their Entire Business Online. 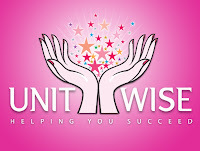 UnitWise can be used for every aspect of an independent beauty conultant's business. From tracking inventory & creating sales receipts to sending email marketing campaigns & creating a custom website. UnitHub is an easy to use, web-based program to help Direct Sellers flourish. It's a convenient, safe and secure way to manage all of your contacts, send Emails, & Build your online presence! UnitHub is for Anyone in a Direct Selling Business like Mary Kay*, Avon*, Pampered Chef*, Scentsy*, BeautiControl*, Stella & Dot*, Tastefully Simple*, Beachbody*, Thirty-One Gifts*, Lia Sophia*, etc.